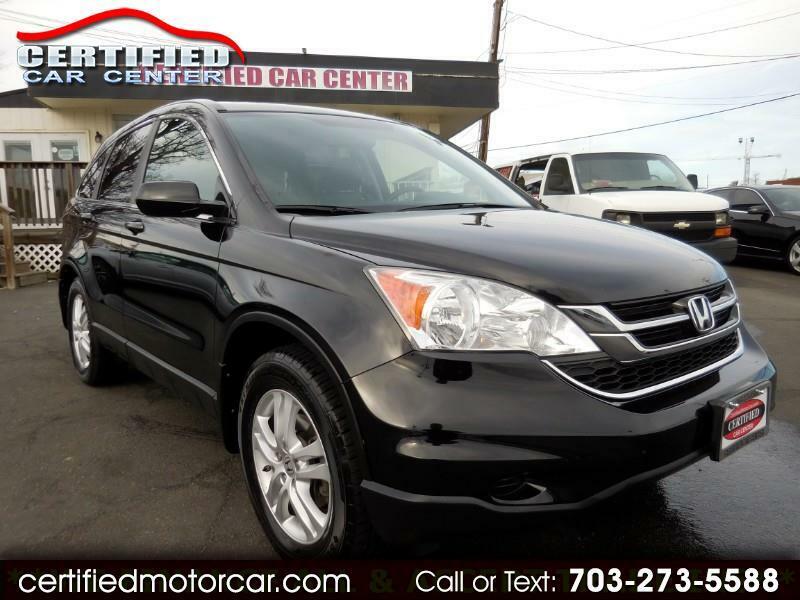 2011 HONDA CR-V EX-L BLACK ON BLACK SUV FULLY SERVICED, AND FULLY LOADED WITH **SUNROOF**, **BACK ON BLACK*, **LEATHER**, **HEATED SEATS*, **ALLOY WHEELS**, **ALL POWER OPTIONS**, **AUX JACK**, AND MORE. VA INSPECTED, FULLY SERVICED AND BACKED BY A WARRANTY AT OUR ASKING PRICE PLUS $395 PROCESSING FEE. Open Mon-Sat 10:00 to 7:30 PM and Sun. 12:00 to 4:00 PM. Internet Prices are based on cash or cashier's check. Our Internet price does not include a $395 Processing fee, Tags, title and FINANCE FEES!